Up until recently, I believed that Edward St. Aubyn could do no wrong as a writer, but that was before I read ‘Lost for Words’. This is his novel satirizing the process for selecting the Man Booker Prize for Fiction. Due to his acclaimed 5-novel Patrick Melrose series of which I have read only one novel, Edward St. Aubyn became famous as a humorous literary stylist on the order of Evelyn Waugh and as a brutally funny satirist of the British upper class. Until now, I had only read one other of St. Aubyn’s novels, ‘Dunbar’, which is a pastiche of ‘King Lear’, and the writer turns that bitter family tragedy into a sharp-tongued comedy. So what were my problems with ‘Lost for Words’? Nearly everything. The humor is just too broad, too obvious, too over-the-top. The reader is constantly being bombarded with one scene after the next, each more outrageous than the previous and with little connection to reality. The characters are not real characters but stock caricatures of characters. One of the writers competing for the prize is an Indian Rajah. I don’t believe I’ve encountered an Indian Rajah in a novel since Rudyard Kipling. Do Rajahs still even exist? This is likely an unfair Indian stereotype. The Indian Rajah’s mother has created a cookbook she is trying to publish, and it accidentally gets entered for Booker consideration, and one of the judges champions it as a “ludic, postmodern, multi-media masterpiece.” The book not only makes the longlist but also the shortlist. One of the novels entered for the Booker is a gritty realistic novel along the lines of Irvine Welsh with the title “wot u starin at”. That is kind of funny. St. Aubyn does include excerpts from these Booker novels which sometimes hit the mark as parody and sometimes do not. Most of the Booker judges in ‘Lost for Words’ practice literary politics at its smallest and meanest level except for the Oxford academic Vanessa Shaw. Of course, Vanessa Shaw does not prevail. I expect the Booker Prize select process is ripe for satirizing, but ‘Lost for Words’ misses its target by being so far out of date and ridiculous. I do intend to read more of the Patrick Melrose series in the near future as that is St. Aubyn’s still most acclaimed work. 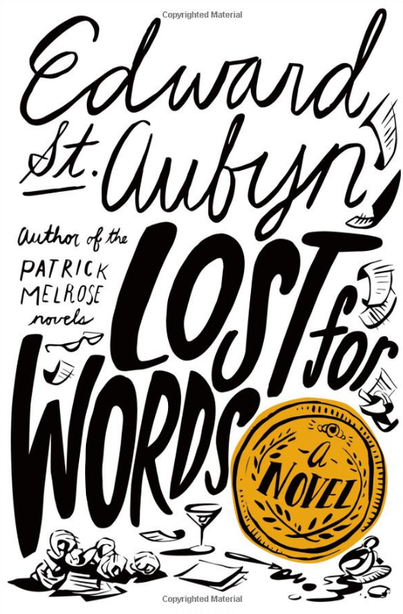 I would say read Edward St. Aubyn but avoid ‘Lost for Words’. Yeah, there aren’t too many Mark Twains or Evelyn Waughs around these days. The last humorous novel I read that worked for me was ‘Less’ by Andrew Sean Greer. I’ve never got on with St Aubyn, for the reason you identify here: his humour is too predictable. I’m still holding out hopes for the Patrick Melrose series since it has received such near universal praise. I will give ESA a try. Have never read any of his books. As you say, the Booker Prize Judges is a nice big fat target for nasty novelists! hope a couple of them tackle it! Yes, somebody could write a scathing laugh-out-loud hilarious novel about awarding the Booker Prize, but ‘Lost for Words’ isn’t it.